I do love the feel of fur – so warm, soft and luxurious. Of course, real fur should stay where it belongs – on real animals. But faux fur, that’s a different kettle of fish! Given how cold it is at the moment these gorgeous looking furs will help keep all the family toasty warm this winter. Minimink began with a unique baby wrap by Melbourne mum Ally back in 2003. Since then her company has grown to produce a whole range of faux fur goodies, with everything from blankets to hats to teddy bears. Ally made Minimink originally with her baby daughter in mind and made sure that the faux fur was of the highest quality, didn’t shed and was fully lined with cotton. Machine-washable, most items come in baby, child and adult sizes and look so inviting for everyone to snuggle up in. I love the ebony black colour which has just been introduced. 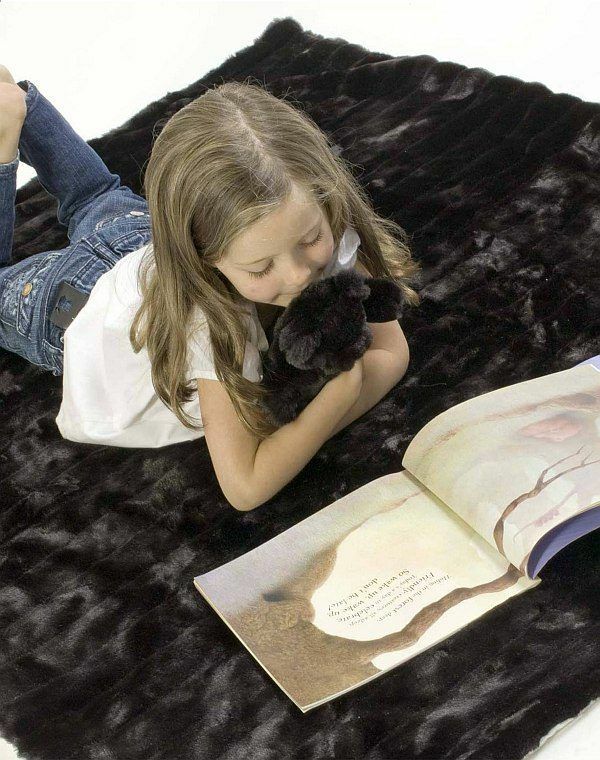 The double-sided blanket ($250) in particular looks so strokeable – meow! Also look at the Pram Papoose ($128), the Rug/Wrap/Throw (from $89), the Blanket (from $102) and the Maxi Mink Throw Rug ($160) all from Buyster.